Recent studies show that the demand for instant results is seeping into every corner of every woman's line these days as compared to twenty years ago. This doesn't come as a s surprise as Filipina's fast-paced lifestyle requires them to be always on the go. However, this doesn't mean that Filipinas compromise looking their best every day. The answer? A product that can keep up with them and deliver results- yes, in a flash. 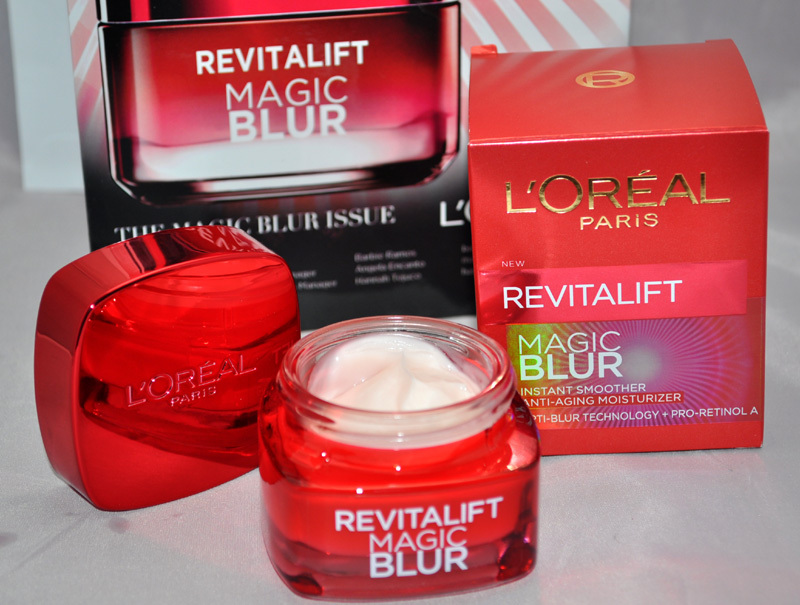 From the world leader in beauty and innovation, the number one anti-aging franchise Revitalift by L’Oréal Paris launches its first instant anti-aging skincare cream, Magic Blur. A critical step that follows regular cleansing, toning and moisturizing, Magic Blur perfects every woman's daily regimen for younger looking skin by instantly blurring away pores, dullness, and facial lines of early aging. Women were not born with pronounced facial lines as these develop throughout life. From laughing, smiling, frowning, to everything in between- the eight facial lines begin to appear at the forehead, corner of the eyes, eyelids, lower face, cheeks, between brows, contours and neck. 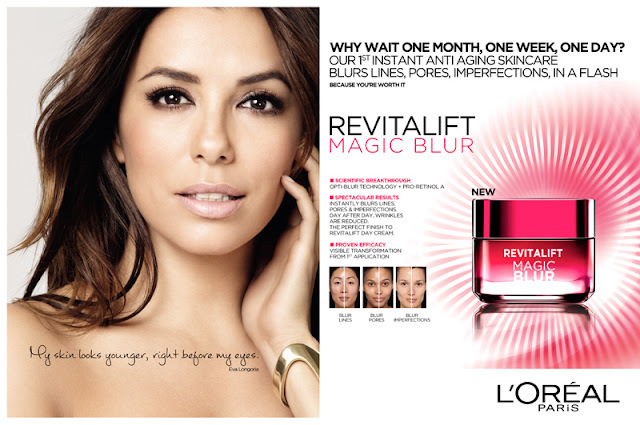 "Along with identifying these eight facial lines, L’Oréal Paris understands that these come naturally as women reach their mid-20's and this shouldn't stop them from preserving timeless beauty and embracing life without the worry of revealing their facial lines, " shared Gela Encanto, Brand Manager of L’Oréal Paris. We definitely hear women's cry for instant results and the newest Magic Blur cream is the answer as it magically blurs away facial lines in seconds." Magic Blur is the first revolutionary breakthrough in skin care that instantly blurs skin imperfections thanks to its Opti-blur Technology. With a unique non-greasy, non-sticky and weightless cushiony texture, Magic Blur works like magic on the skin reducing facial lines visibility, pore visibility, and skin roughness in just a matter of seconds. With the newest product from the renowned anti-aging franchise Revitalift by L’Oréal Paris, Magic Blur makes it so easy to look younger in a flash. 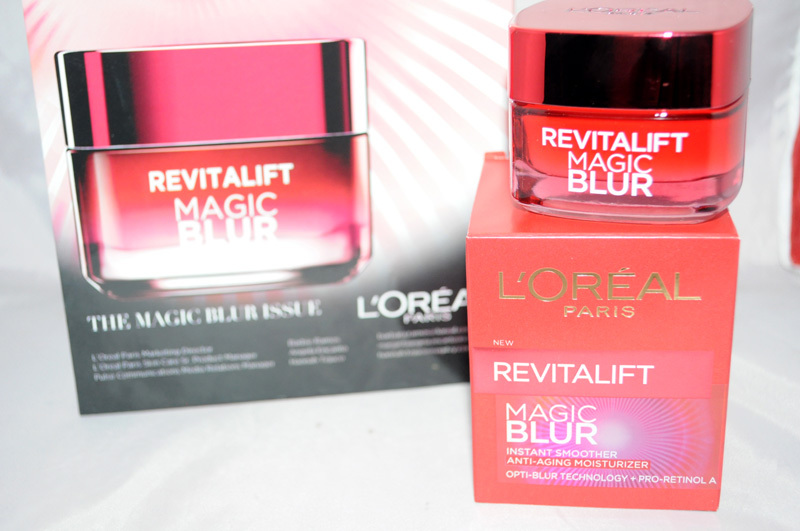 Discover the Magic of Blur for only Php899. Products are exclusively imported and distributed by L’Oréal Philippines and exclusively available in L’Oréal Paris counters at select Watsons stores Nationwide.